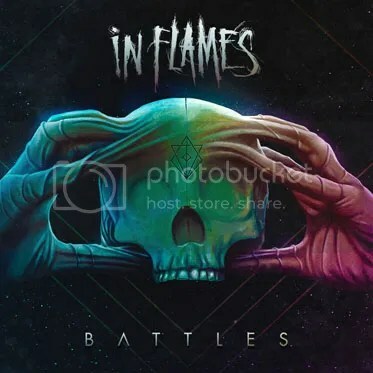 It’s been a while since I’ve stopped considering In Flames “melodic death metal” (even if I labelled them as such when I reviewed “Battles”, after going with just “melodic metal” on the previous one, “Siren Charms”). The truth is that they’ve developed such a characteristic sound that one would either come up with a genre described in a whole sentence or just fit them in one that pretty much covers it all. Let’s go with “metal” then (which, whoever runs their Facebook page, seems also okay with). I believe I’ve said this several times – not just regarding In Flames – but I don’t see toning down the aggression as a bad thing; in this case, losing the “death” angle. All I care about is listening to quality music, whatever its nature, and “I, The Mask” is full of that. Out of the three songs they’ve chosen to promote the album with, the title-track was the one which least impressed me. Curiously enough, one of the fastest tracks. It’s not a bad song, don’t get me wrong. It’s just too straight-forward in the middle of the richness that the rest of the album turned out to be. But then again, come to think of it, maybe that’s precisely its strength. “Burn” is up there as well, but with a less catchy chorus. “(This Is Our) House” is sort of anthemic, with all that talk of standing your ground and the teen choir’s they’d already used on “The End”. At first I thought a spunkier chorus would sound better, but after hearing it a few times, this one is just right. In fact, this album needs a couple of rounds to grow on you as a whole. “I Am Above” and the ballad “Stay With Me” are my favorite, as they’ve got that something-I-can’t-put-my-finger-on that just enthralls me. Perhaps the attitude of the first and the depth of the second, but I believe is much more than that, as it usually is when a song hits you hard. There’s another ballad in the form of “Follow Me”, where you’ll certainly hear an echo of “Come Clarity”, but only on a musical level – the message in it bears a sense of hope that their old classic misses. And even though I can’t remember a title to compare – in a good sense – “Voices” with, you’ll see that the opening track is very much an In Flames song. Not so much with “Deep Inside”, the Arabian hints catching me somewhat off guard, but it worked out in the end. The only song I skip when it comes up is “In This Life”. I’m sure it will be someone’s favorite, but for me, it’s annoying as hell. When I’ve first listened to this album – their 13th – I’ve automatically given it a “4”. Then, as aforementioned, it started growing on me and I thought a “4,5” would be more accurate. Now that I’ve put into words what I think about it… hell, it deserves a “5”! When I reviewed “The Ride Majestic”, about three and a half years ago (damn, feels like yesterday! ), I said something about being surprised with how Soilwork could still impress me. Well this time they didn’t catch me off guard: I’m still impressed but I was counting on it. A fellow reviewer said they’ve gone more melodic but I don’t think that’s quite it; I mean, sure, “Verkligheten” is a more melodic record, but I don’t think it was intentional. I believe they’ve just focused more on being intense than actually heavy, and such deeper sound enhanced the melodies which have always been a part of Soilwork. Take the latest single, “Stålfågel”, for instance; those initial synths bearing an Alan Parsons whiff, the growls of someone who Wikipedia claims to be Alissa White-Gluz (but it’s not) a mere shadow in the background of the chorus and the so straightforward solo result in an enthralling combination that’s way more than just “melodic”. it’s still my favorite song, by the way, even if I stood a bit disappointed when the lyrics didn’t match the title’s tongue. In fact, despite the Swedish album title, all songs are sung in English. Shame. At least one should be pretty interesting. Tomi Joutsen was also invited to snarl over “Needles And Kin” but his presence is much more highlighted – the own nature of the song enabling it. I dare saying this is the heaviest song (“Arrival” right behind it), the riffing and drumming even reminding some black metal refined act, but the chorus always featuring some harmony to go along with the rest of the album. I really hope “The Ageless Whisper” makes it to the live shows as it’s a very anthem-like track which I already imagine everybody clapping their hands to, in sync with the drums in its intro and later on, right before the solo. But several others, and for several reasons, are prone to turn the crowd into a bunch of happy campers ‘cause I’m pretty sure I’m not the only one loving “Verkligheten” as a whole. It’s been 25 years of Edguy. Yes, this band has been going as long as I’ve been alive on this earth. So, I thought that I would pay homage to one of the greatest metal bands that I have ever had the pleasure of listening to. What better way to do that than going through the newest release from them. Monuments is a carefully and passionately selected collection of the band’s greatest hits from the last 25 years. Not only that, but the release has five brand new songs from the band. Along with one previously unreleased recording. Mounting up to a staggering 28 track album that will be more than enough to indulge even the biggest fan of the band. I first discovered Edguy back in 2008 with the album Tinnitus Sanctus. I bought it after reading about them in a Magazine calling this album “the strongest of their career yet”. At this time, the metal press was buzzing around them. I listened to the album and something stirred inside of me. I instantly wanted to hear more from them. So in very quick succession I looked their history in music. I was completely blown away and I think this was the start of my obsession with power metal. As listening to them got me into fellow contemporaries: Blind Guardian, Sonata Arctica and Hammerfall. I know I was a little behind but believe I’m caught up now with them all. Yet, there was something different about Edguy and it was all in frontman, Tobias Sammet’s vocals. He sang with such power and conviction still to this day his voice gives me goosebumps. If anyone ever asks me what a metal or rock vocalist should sound like I just turn and point to Tobias. Everyone has their own favourites that they immediately associate with the genre. He’s mine. Yet, I don’t want to do a disservice to the band that back him up. Edguy has some incredible talent in there. Unlike a lot of bands that go this long; Edguy have had a pretty consistent line up having the same lineup from 1998 onwards. Giving them a fantastic consistency. This is reflected across all their albums. Jens Ludwig and Dirk Saur have been their from the very beginning on guitars. Always producing fantastic riffs and melodies that compliment the tone of whatever album. They were going in to. Be it the more power metal centric albums or the winding twisting more progressive sound. No matter how flamboyant or heavy the song. Ludwig and Saur really deliver in getting music stuck in your head. As for the rhythm section Tobias Exxel on bass and Felix Bohnke on drums has always given Eduy that weight and power to their tunes. There’s just such a commanding presence to their music. When Edguy plays, you listen. Monuments, includes 5 brand new songs from the band. You’d think that they may get lost amongst all of the classic songs. They sort of do, I don’t necessarily see that as a band thing. I just see it as these songs just feel as good as their iconic work. Which can only be a good thing. All five of the songs are big triumphant anthems and their played with just as much conviction as the big hits. 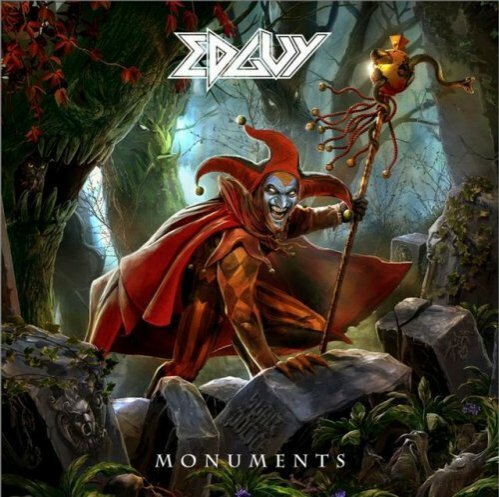 With massive sounding production and the tight musicianship that we’ve come to expect from Edguy by now. Is it any wonder that they sound this good! They fit so nicely on this package of their hits. They feels like songs that have always been here. I guess that’s the real strength of Edguy. Making songs that fit so well into the collective consciousness, making tunes that just sound right. As for the unreleased song “Reborn In The Waste”. Recorded back in 1995, as part of the Savage Poetry recordings. Savage Poetry being one of their demo albums in the early 90’s. I can understand why it wasn’t included. I don’t think it’s wholly representative of the band’s skill or style. In all honesty I think it’s a pretty lackluster tune. It’s got a nice hook to it and I think if they remade the song today it might be better but I don’t know. I guess I like it just for the fact it’s another piece of Edguy nostalgia more than anything else. In all honesty. This has been a fun one to look at. Just looking back through Edguy’s back catalogue and remembering the great tunes from yesteryear. They are certainly a band that has stood the test of time with 10 albums under their belts and some of the most enthusiastic fans I’ve ever met. Going through this greatest hits compilation has really made me appreciate how good this band really is. From the heavy hard rock tunes, to their soaring ballads they make some of the finest metal music around. They may not be on the same level as the all time greats of the genre, but they always hold a special place in my music library. I will always think back to the time I first heard them roar into gear with “Ministry of Saints”. If you have never given them a chance do yourself a favour grab Monuments and get acquainted with one of the best metal bands in the world. At least according to this reviewer. Yeah, this might read as a bit of a fluff piece or it could read as a little self-indulgent. I really don’t care. I just wanted to look back on one of my favourites to celebrate 25 years of this band. This is an album that I have been particularly excited for. 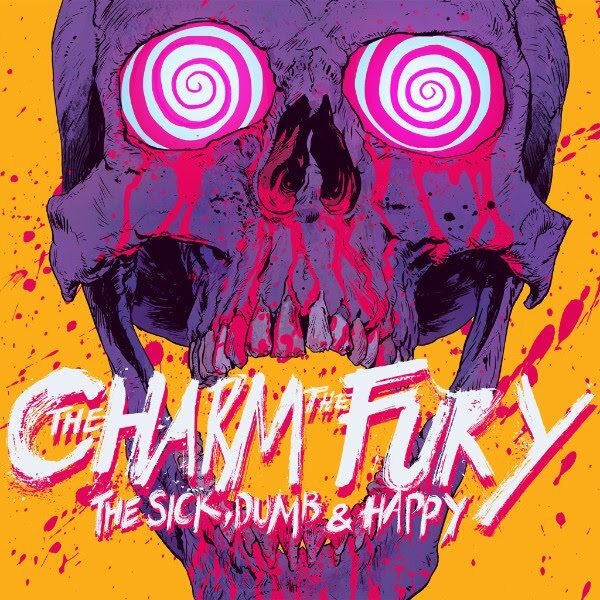 I first caught wind of The Charm The Fury a few years ago via an article in Metal Hammer magazine. I looked them up and I was really blown away by them. I hadn’t heard anything like them before. I would go on to discover a lot of bands in with this sound and I do have The Charm The Fury to thank for that. Their first album A Shade of My Former Self was an exciting bold record with a lot of passion and intensity. It was genuine smash of an album. So, I’ve really been getting into their new album The Sick, Dumb and Happy. They have made some interesting stylistic choices with this album to keep things fresh without losing their core appeal. This album is more of a groove metal album then metalcore. The gritty riffs the, groovy bass lines and more of an appealing tone. It fits them it really does. I think every member of the band carries their weight very well on this album. The sound is massive and all of the songs have the potential to be crowd pleasers. From the old school sound of “Down on the Ropes” to the more modern sounding, “Weaponized”. They hit the mark nearly perfectly. The production is bold and really gives a firm punch when the tunes get going. On this album the band feel way more palatable. These are songs more likely to get airplay in more mainstream and that’s really not a problem. They sound great doing it and I would say that these songs deserve the attention. This is a major step in the right direction for The Charm The Fury. It’s really nice to see a band evolve like this. It proves you can make your songs appealing to a wider audience without selling out. They have just made a natural step forward with their music. There’s really not much else to say if you want a great album with a fun sound with some truly pump-up choruses, the look no further that this album. “Gods Of Violence” or how to make the same thing and still sound fabulous. When “Phantom Antichrist” was released, I used keywords such as technique, melody and elaborate guitars; now, almost five years later, the same words pop up in my mind. Yet it doesn’t leave a taste of repetitiveness but of… familiarity. Living up to its name, “Apocalypticon” is an epic promise of war, a promise that starts being fulfilled right afterwards, with the fierceness of “World War Now”. Some sharp melody in-between makes it both classic and classy. “Satan Is Real” is the other side of the coin – still belligerent, still menacing, but the rhythm is more grinding than shredding. There’s even some symphonic elements here and there to emphasize the throbs. “Totalitarian Terror” is something I’ll love to hear live, a thrash hymn, with a catchy, sing-along chorus. Okay, I admit some of the acoustic chords of the title-track are a subtle reminder of Metallica’s “Fade To Black”, but the rest of the song is very Kreator-like and another strong candidate to a live favorite. 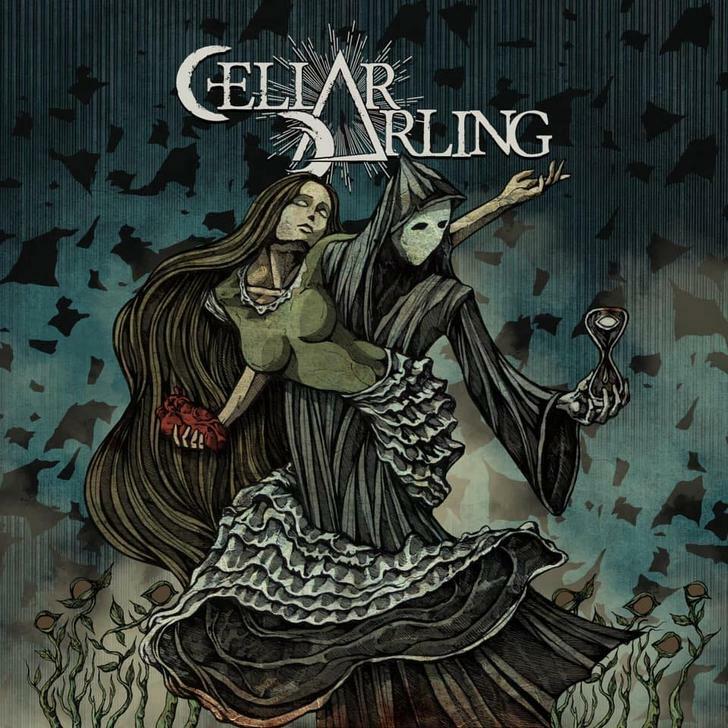 The spunky spirit of “Army Of Storms”, the force of “Hail To The Hordes”, the mischief of “Lion With Eagle Wings”, the militant “Fallen Brother”, that weeping solo of “Side By Side”, “Death Becomes My Light” brings over a little more semi-acoustic moments – these not similar to any other band’s – before galloping away at full speed… Kreator are able of pulling out sophisticated tweaks off their sleeves, delivering exactly what is expected of them, both as a thrash metal band and as a veteran, professional act. When “Siren Charms” was released a couple of years ago, I complained about “its lack of ability to embrace my senses and leave a positive remark” (review here). Well I’m happy to say that ability has returned. Not that “Battles” is a masterpiece, but it features some memorable tweaks, in both ear-worm and impressive meanings of the word. I remember a lot of people complaining when Anders Fridén gave up on growling. I wasn’t one of them not only because I appreciate Fridén’s current tone but also because I don’t think that measures a band’s level of heaviness – listen to all those pop-metal acts with a growler and you’ll know what I mean. Plus, the desperate inflection his voice carries is just as brutal; the opener “Drained” will prove me right. Still on a vocal analysis, but the teen choir’s in “The End” and the ballad “Here Until Forever”. I’m a sucker for gang backing vocals, but the cheer of this 2.0 version of it has been growing on me; it’s just as catchy and it will have a hell of an effect live, as I doubt anyone will be able not to sing along. That and the march-wise clapping hands in “The Truth”. There’s a loud guitar work in here as well, but that has never been an issue for In Flames, so it’s really no surprise. Still I’d like to mention “Underneath My Skin” and the 2-minute dark, almost experimental instrumental piece featured in “Wallflower”. Oh, and the seduction of “In My Room” – no sexual pun intended. It just gives away this enthralling vibe. So again, no, this isn’t In Flames best work, but it definitely has its moments – lots of them.